It all started with William and Anna Loft, English immigrants who came to New York in the 1850s and opened a small candy store on Canal Street a decade later that sold homemade chocolates. By the 1920s, Loft’s was the biggest candy retailer in the nation, with 75 stores (including this one below on Flatbush Avenue in Park Slope, circa 1959), according to Savoring Gotham: A Food Lover’s Companion to New York City. 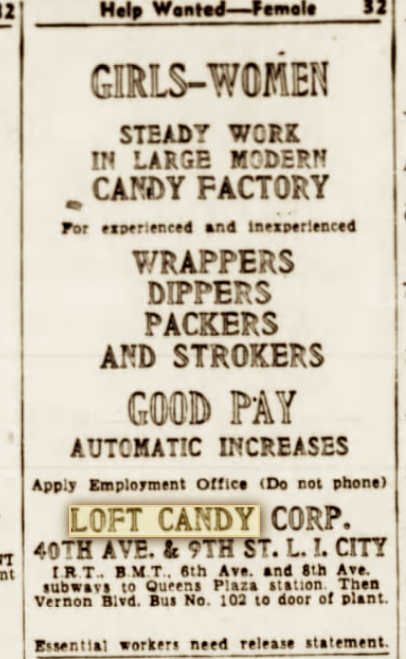 Loft’s opened a candy factory in Long Island City in the 20th century—see the ad in the “female wanted” section of the Brooklyn Eagle in the wartime year of 1944. Not a lot of men were around to do the wrapping, dipping, and stroking. I wonder what the pay was like. 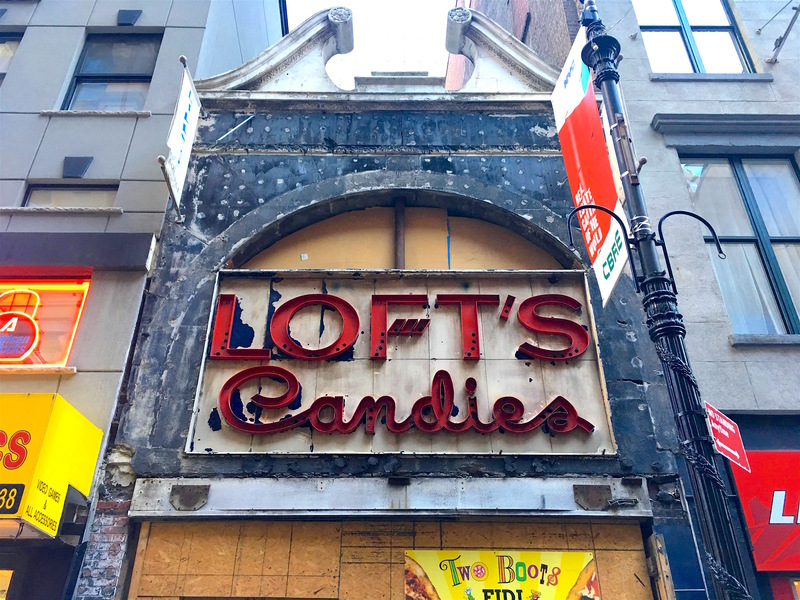 After a series of missteps and mergers, the last Loft’s store closed up shop in 1990. But the store sign at 88 Nassau Street downtown lives on—it’s a cut above Manhattan’s next best candy store sign at Economy Candy.